It is now the official White House position that constitutionally-mandated recounts are illegitimate. Any number of Americans can tell you that they have never considered the current U.S. system to be legitimate. 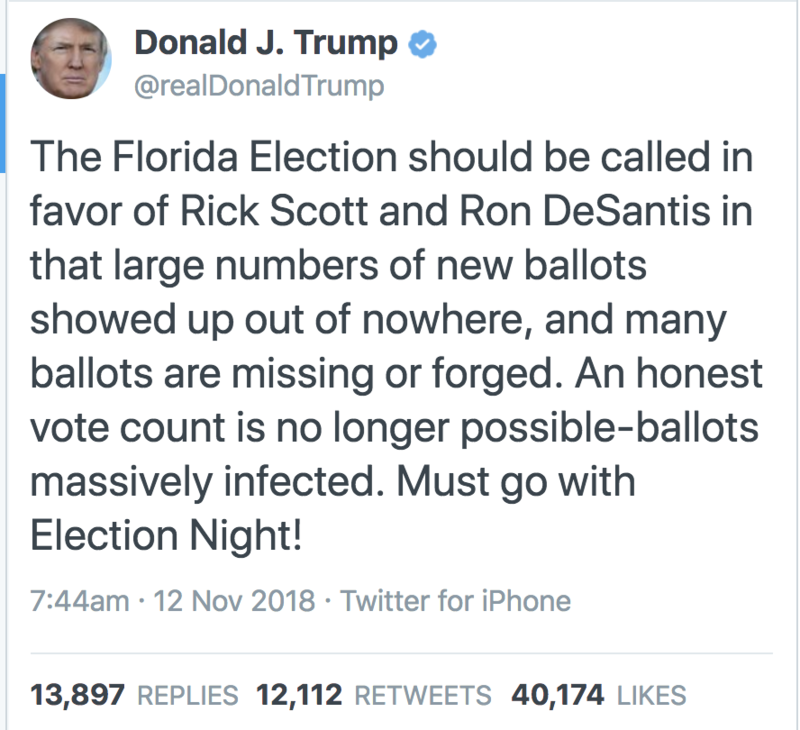 But even the strongest critics of electoral democracy must take seriously the gamble that they entertain when candidates like Trump undermine the legitimacy of U.S. elections. After all, look what happened when U.S. politicians tried to undermine the legitimacy of Obama’s presidency: Donald J. Trump became the GOP nominee. Pingback: Nancy Pelosi Wants to Find “Common Ground” With Donald Trump. But Her Job Right Now Is to Fight Fascism.